First off, I'm so excited to share my next Rad Haus post with all of you. 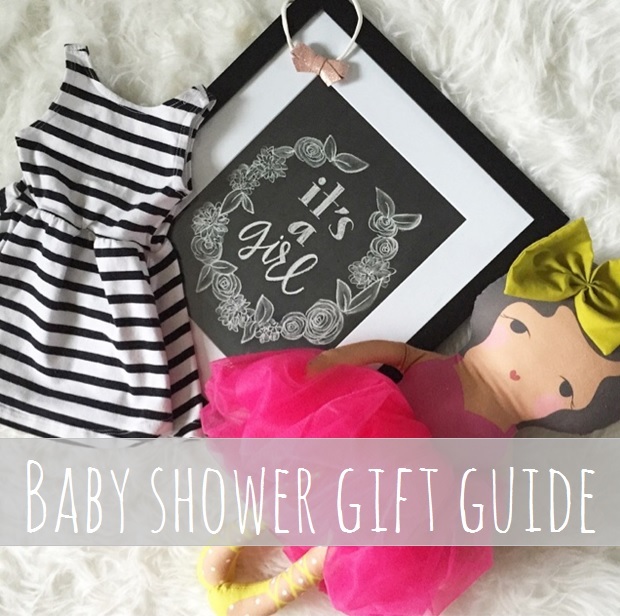 I've put together a baby shower gift guide for "off the registry" items - things that are a little different, special and way too cute! 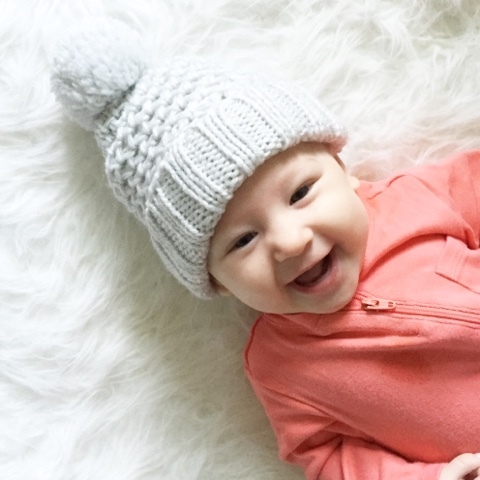 There's a little bit of stuff for everyone included, not just baby girls. I spent quite a bit of time picking everything out. If we don't have them already, they're definitely things we would buy ourselves! Please head on over and let me know what you think. :) Hope you love it! 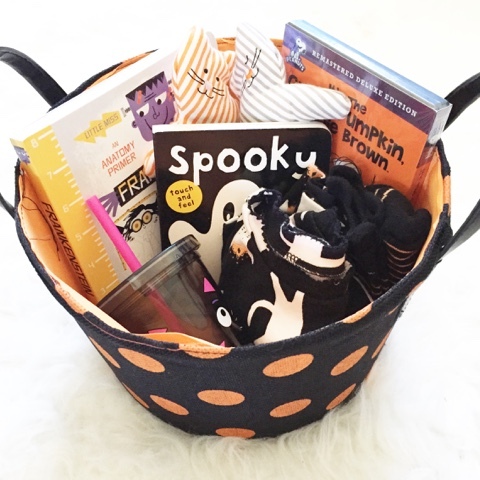 I posted this on IG yesterday + just wanted to quickly share that I finished putting together Ellie's Halloween basket! 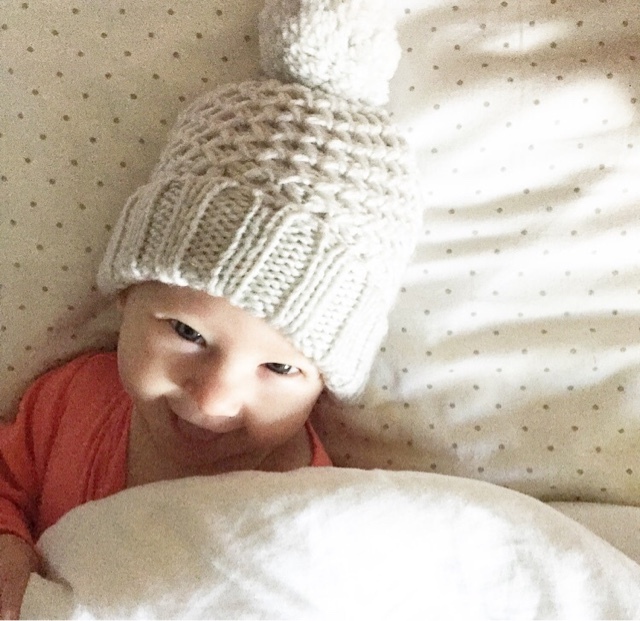 I just can't get enough of Ellie in this hat. 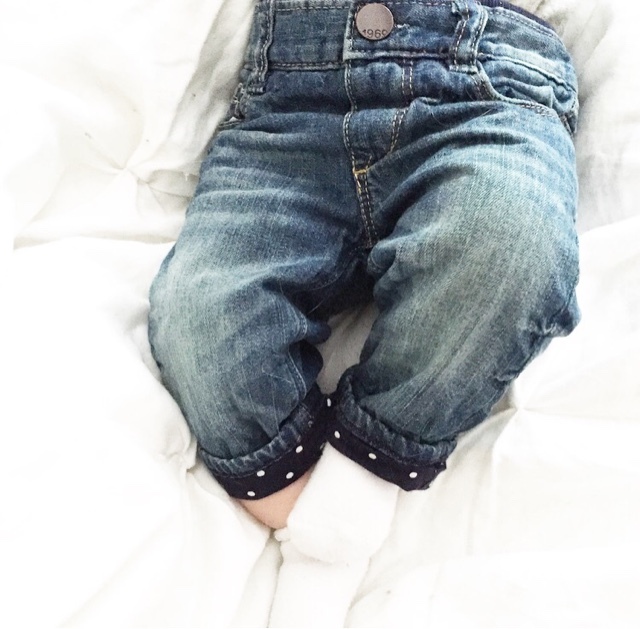 Or the jeans she wore yesterday. 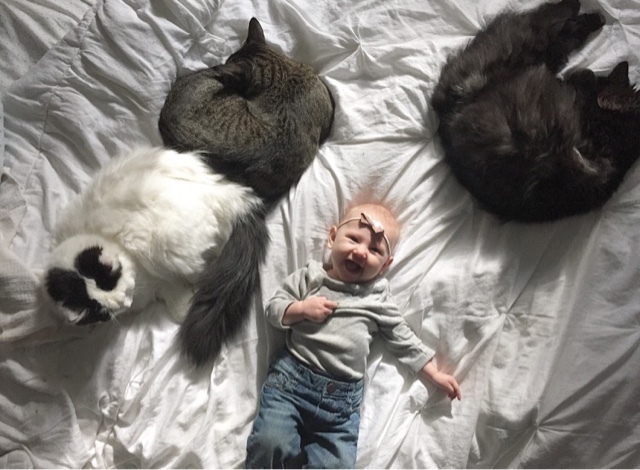 Or the fact that I DID end up getting a picture of all four of my babes together - first one ever! 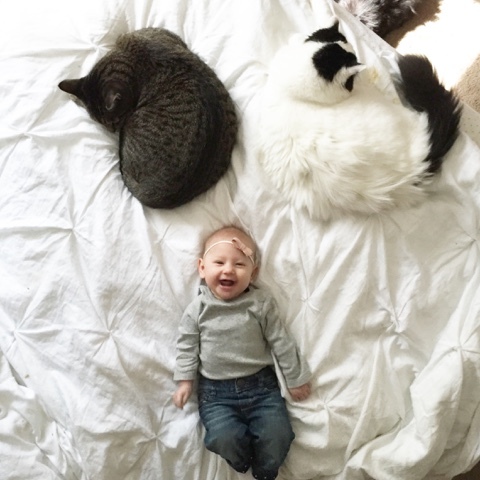 Ellie thought it was the funniest thing when she woke up from her nap surrounded by her feline friends. 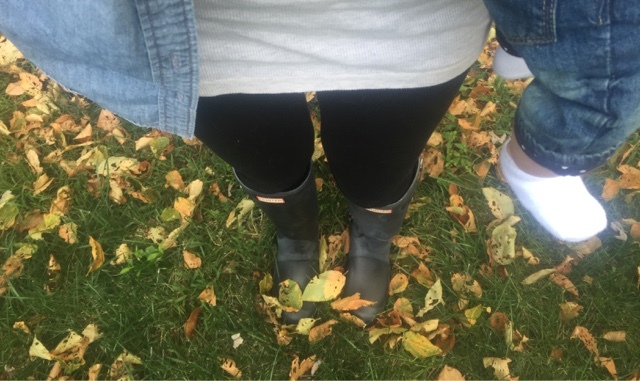 I see other girls wearing Hunter boots and making them look cute, but I feel like I should be clomping around through the mud when I wear them. Just can't quite make it work. Says the girl who is clearly wearing leggings as pants in this picture. ;) Styling suggestions are welcome.